by: Brittany Vigoreaux – HR Generalist and Business Partner – the #1 connoisseur of Stumptown Cold Brew on the entire west coast who can often be found acting as a benefit guru, social media wanna-be, and recruiter on any given day at RealSelf. Will stop to pet any in-office dog. Prior to starting at RealSelf nearly two years ago, a health fair was a time to avoid eye contact with vendors asking for raffle participation, maybe get a free pen, and kill some time before going back to my cubicle. When I started at RealSelf in April 2017, my mind was blown when my manager told me we should start planning for the health fair…in November. I quickly learned that this isn’t your normal health fair, this is a cool health fair. We booked a self-defense course for our employees, an aura reader, provided a huge healthy salad bar, and massages for employees. The 2017 health fair was spent focusing on making sure employees feel good during the workday. You could receive a massage, a manicure, and an acupuncture demo all while learning about your benefits! As we approached the 2018 health fair, we brainstormed on what the focus would be. What do our employees need to understand? How can we connect this event to our values as a company? As an organization, we strive to be customer centered. We walk in our customers’ shoes to better understand the impact of our decisions and look for solutions that are in the best interest of the customer. Our goal was to make our health fair as customer centered as possible. Along with the massages, healthy salad, and benefit vendors, we provided employees with various opportunities to truly experience what it’s like to be a RealSelf customer. RealSelf Product Managers sit down with employees as they use our site to book a procedure. 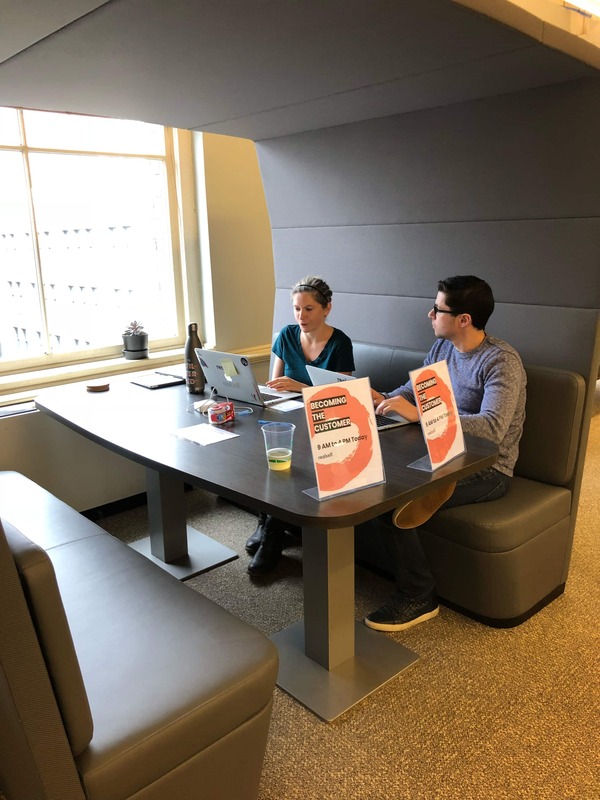 For one day only, RealSelf employees got the chance to sign up and go through the process of searching for a procedure on RealSelf, finding a provider, booking a consultation, and getting reimbursed for the procedure! This served to expose the employee to what it’s like to be a customer – what are the frustrations? What is the experience like? This was also valuable information for our Product Managers who are responsible for building a great experience for RealSelf customers. Give us better search tools! Participants who were ready to search for and find a provider found the finder experience needed more customization. Participants commonly wanted additional ways to modify their searches in the Dr. Finder by distance, ratings, neighborhood. My biggest barrier is cost! Participants reported that cost ranges were too big to be helpful and often defaulted to calling the office to get more precise pricing data. Get with the times! Participants were seeking treatments they had heard about but weren’t on RealSelf. When they couldn’t find their treatment listed, they wished they could request new treatments. We are the customer! RS employees are really no different than the customers we serve. Even being in the industry our participants found that it was hard to find clear information on options, price and providers, and our product managers took all of that input back to their teams to improve our site. 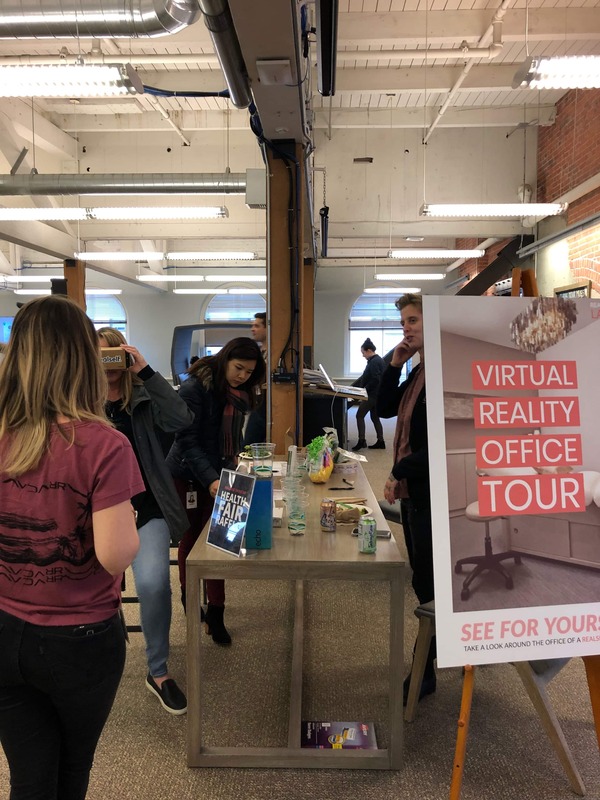 Virtual Reality tours of our providers’ offices helps RealSelf employees walk in our customers’ shoes. Botox, Peels, and Lasers…oh my! For the third year in a row, RealSelf offered employees the chance to get botox, a chemical peel, or laser treatment at a discounted rate in-office. While incredibly convenient and on-brand, this experience also helps employees truly understand and experience the types of procedures that are featured on RealSelf. And, as a result make better business and product decisions for our customers. All in all, at this year’s RealSelf Health Fair our employees built greater empathy for our consumers while having a midday excuse to Treat Yo’ Self!